Whether it's with friends, for a works do, or even out with family for a lazy Sunday lunch why not try Lisburn's coolest new bar and grill. Bringing a new level of sophistication to Lisburn, the Carden offers classic Irish and bistro style fare using only the freshest of local produce 7 days a week from 12noon to 9pm. 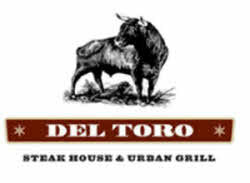 Enjoy, relax, chill, savour a truly excellent steak house & urban grill Hello and welcome to Del Tom, Steakhouse & Urban Grill. Del Toro offers an upscale dining experience that meshes Tuscan cuisine with an exquisite menu. The seasonal focus on local, sustainable products means that each dish comes at its freshest and most flavourful. Matching the finest 28 day aged, 'naturally raised Northern Irish beef with an elegant, sophisticated ambiance. Del Toro offers an experience that diners can savour on any occasion. At Del Ton) we have an excellent selection of wines from our extensive international wine list. 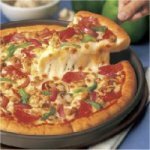 They come in a variety of styles and prices to compliment our menus. I wish to take this opportunity to thank you for joining us at Del Tom, we hope that you enjoy your dining experience and if we can do anything to make your dining more pleasurable, please ask. We hope to welcome you again soon, Thank-you. Enjoy! 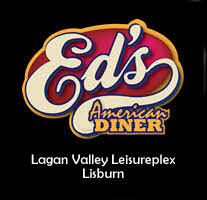 Situated at Lisburn Leisure Park, Ed’s is just 5 minutes from the Sprucefield junction of the M1. It’s conveniently situated between Omniplex Cinema and Leisureplex, offering ample free parking. Great food, fantastic service, & a fun yet relaxed atmosphere is what Ed’s is all about. Perfect for a quiet dinner, meeting with friends or having a celebration. Set over two floors, you can have a cosy booth for two or a large table for twenty, it really is that flexible. Ed’s is truly unique in Northern Ireland, maybe the UK. Serving locally sourced steaks, probably the best burgers you’ve ever tasted, Fresh Fish, Pasta, Vegetarian, Mexican, Pizza’s & also a new Fusion Food section, all cooked fresh to order by our very experienced team of chefs. There really is something for every one, from a plain eater to a gourmet chef. Also serving, cool cocktails, with a typical Ed’s twist; proper American extra thick milkshakes & a great selection, of new world wines. We are happy to take advance bookings & whilst not always necessary, we would hate to disappoint you by not seating you immediately. 10 minutes from Belfast but a million miles from what you are used to. Ed’s - it's all about you. Welcome to Esquires, an organisation that thinks the best way to look after itself is to look after others first. Penguins are our mascot because they are symbolic of our friendly community. We are a chain of franchised speciality coffee houses established within communities with the individuality of locally owned and operated management. For our customers we offer a friendly atmosphere to meet and relax, and to enjoy premium beverages and quality food. For entrepreneurs we offer the opportunity to invest in a rapidly expanding business, and to own and operate their own speciality branded coffee house. Address: 20 Castle Street, Lisburn, BT27 4XD. Locally roasted Coffee from Belfast and selection of herbal and fruit teas. Student deals available all week and monthly deals for everyone! We are situated in Castle Street in the heart of Lisburn's Historic Quarter, and provide hot food & beverages all day. *** Entertainment: Showcasing local music & talent, Molly's presents a Live Music night every Friday. Admission is £5 and includes hot food. Bring your own bottle and you'll be sure to have a great night! The only monthly Comedy Club in Lisburn, showcasing Irelands best upcoming comedians and already established funny men. Bring your own policy still applies, £8 door charge with food served. The Point Bar & Grill - the Philosophy is good local produce cooked to perfection, charged at a reasonable price and served in a warm friendly atmosphere. It is a venue that appeals to all age groups and life styles from couples to families, office parties and those celebrating a special occasion. Families are also very welcome with a healthy kids menu available. The Point's location is pivotal in its appeal as its easily accessible from Belfast and 2 minutes drive from the M1. The venue sits directly on the River Lagan, providing picturesque scenery and an ambience that would not be out of place in Europe. The River Lagan is utilised in the spring and summer months when the Beer Garden opens and allows patrons to relax, drink and eat in the sunshine. The Point has already established a strong reputation synonymous with quality food and excellence of service developing quickly into the City's premiere bar & restaurant. The Point has a unique offering combining a downstairs bar and upstairs restaurant catering for a broad spectrum of clientele. Founded in December 2007 by Richard Nelson, Prima Gusto is a fresh, new and exciting Bistro using only local seasonal ingredients. With an Italian themed base, we are passionate about great tasting cuisine, and the pleasure of sharing it in our modern retro style interior. The upmost effort has been made to ensure that your stay with us is special every time, and we are more than happy to help with any special dietary requirements. Our Deli boasts an extensive range of jams, chutneys, relishes and honeys, along with our Organic range you will find hard not to find something to compliment your kitchen! So whether you’re a total novice, connoisseur or budding chef please call in to our Deli and feel free to browse at your leisure. We are situated at 75 Botanic Avenue, 633 Lisburn Road, Belfast and Lisburn Leisure Park. We offer a true American eating experience that ensures that you will keep coming back for more! We have been established for over 8 years and have built a fantastic reputation for serving freshly prepared American Food, offering everything from homemade burgers and finger-licklin’ ribs to juicy steaks and authentic fajitas. All of our food is freshly prepared and cooked to order. You should check out our huge menu offering a wide selection of American favourites that’ll satisfy even the largest of appetites. You can experience ‘share with the mare combo’, enjoy a sizzling chicken fajita or if you’ve got a sweet tooth we have loads of desserts to choose from such as hot chocolate fudge cake. We can cater for all, from individual diners to big parties and are the perfect place to enjoy great tasting, fresh and filling American food. We also serve a wide range of drinks to accompany your meal from pitchers of beer to 'wine of the month'. We are open 7 days a week. Daily specials are also available along with our All Day Breakfast Menu. So why not come and enjoy “the Ultimate American Diner Experience” for yourself with great food, big portions, delicious creamy shakes and toe-tapping tunes from our jukebox”. 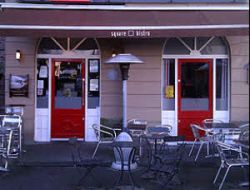 Square Bistro opened its doors over 4 years ago with a motto; "its all about the food! During this time it has went from strength to strength and has established itself as the most successful restaurant in the City of Lisburn. 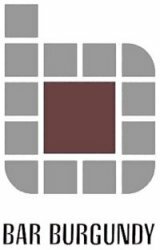 ***** Square Bistro has attracted a mass of loyal customers who have helped contribute to the bistro's success. 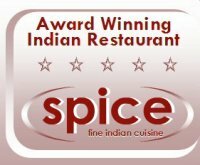 ***** Renowned for its theme nights, Wednesday and Thursday curry nights, Friday seafood and Saturday live music while you dine, the food is excellent and delivered to the bistro daily you are guaranteed the freshest of ingredients. ***** 1The Head Chef/proprietor Stephen Higginson has an indescribable passion for GREAT FOOD and this is portrayed on every plate that leaves the kitchen. His love, imagination and flare for food will leave you ready to book your next table. ***** Front of house, proprietor Cristina Higginson with her brigade of friendly and professional staff will not only match but compliment the great food. ***** Great food and great service together will offer a great dining ***** out experience. The whole team will look forward to greeting you again and again. Welcome to our Website If you are looking for bakers in Lisburn, look no further The Country Kitchen. We are famous for all day breakfast, as well as our good home baked and cooked food. Our team are all highly experienced and skilled, producing delicious, mouth watering food for you to enjoy at competitive prices. To find out more, we are only a phone call away so please don't hesitate to call us today. *** Bread Supplier in Northern Ireland *** For outside catering in Northern Ireland, The Country Kitchen is the company to call. Located in the heart of Lisburn, we are available for breakfast and lunch, as well as providing a full bakery service. We offer speciality cakes for birthdays, anniversaries or any other occasion you can think of! Our food is made using the finest ingredients, ensuring a taste sensation for all of our clients. *** Breakfast in Lisburn *** We have been established for 28 years now, growing from strength to strength into the success that we are today. We have 25 members of fully trained staff, offering a professional service at all times. We also supply baked products to the wholesale trade. 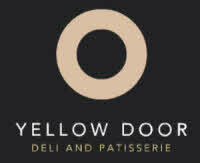 *** Our restaurant is open Monday to Saturday 08:30 till 15:00 with last orders being taken at 14:30. The bakery is open Monday to Saturday 08:30 till 17:00. The Parson's Nose was opened by Balloo Inns Limited in November 2009. Situated in the beautiful market village of Hillsborough County Down, it was originally a Georgian house built by the first Marquis of Downshire, Wills Hill, in the 1700's. Surrounded by history, it is a charming dining pub full of character and charm. 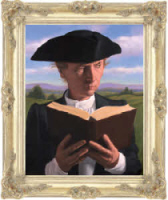 The menu reflects the company's passion for good food, offering only the finest local produce, wines and ales. Balloo Inns Limited also owns Baloo House Killinchy, Co. Down. Welcome to The Pheasant Restaurant - located in the heart of Co. Down, Northern Ireland, we offer fine dining in our restaurant, great facilities for meetings, small weddings and conferences and a traditional bar where locals and visitors mingle to generate and soak up the warm and friendly atmosphere. Our Highland Bar and Snug are the ideal places to drop in for a refreshing drink, some food or even a cup of coffee. The restaurant, with its Gothic décor and great food is perfect for a quiet meal or a more exuberant gathering to celebrate a special occasions. Our function rooms cater for parties, weddings, conferences and meetings. We also have a large car park which can provide for coach parties as well as over 60 car spaces. Uno's is a family run restaurant situated in the heart of Lisburn City Centre. We have had twenty years of experience in providing great Italian food through our two sister restaurants Unos Trattoria and Rumpoli's Italian Kitchen, both situated on the Quayside, Newcastle on Tyne. Our aim is to provide a relaxed neighbourhood restaurant where you can enjoy great food and wine in fun surroundings at a reasonable price. The Deli menus change everyday. We cook the food we like to eat ourselves, like hearty stews, hotpots & tagines in the winter time to delicate hot home smoked Irish Salmon salad with wild rocket in the summer. ** We also serve the same food to take away, along with flavoursome soups and freshly made sandwiches in our own bread.